The Indian question has come to the forefront of political agendas in contemporary Latin America. In the process, indigenous movements have emerged as important social actors, raising a variety of demands on behalf of native peoples. Regardless of the situation of Indian groups as small minorities or significant sectors, many Latin American states have been forced to consider whether they should have the same status as all citizens or whether they should be granted special citizenship rights as Indians. 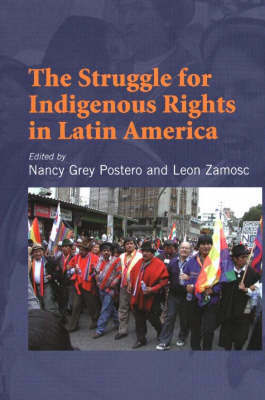 This book examines the struggle for indigenous rights in eight Latin American countries. Initial studies of indigenous movements celebrated the return of the Indians as relevant political actors, often approaching their struggles as expressions of a common, generic agenda. This collection moves the debate forward by acknowledging the extraordinary diversity among the movements composition, goals, and strategies. By focusing on the factors that shape this diversity, the authors offer a basis for understanding the specificities of converging and diverging patterns across different countries. The case studies examine the ways in which the Indian question arises in each country, with reference to the protagonism of indigenous movements in the context of the threats and opportunities posed by neoliberal policies. The complexities posed by the varying demographic weight of indigenous populations, the interrelation of class and ethnicity, and the interplay between indigenous and popular struggles are discussed. "This work compares the ways in which indigenous peoples in Latin America have organized locally, regionally, and nationally to open up new political spaces since the 1980s. Avoiding the homogenisation of indigenous struggles, the book emphasizes the different paths to rights that indigenous peoples have found in different national contexts. At the same time, it analyzes common processes of ethnification, environmental and land struggles, indigenous involvement in national politics, and indigenous responses to neoliberal and multicultural state policies. What particularly distinguishes this book is its attention not only to indigenous ethnicity but also to the consequences of neoliberalism and the processes of class formation and reformation that have shaped the contexts for the flourishing of indigenous movements. A must read for anyone interested in Latin America and a very useful overview for students." -- Lynn Stephen, Distinguished Professor, Department of Anthropology, University of Oregon. "Indigenous movements have become major social and political actors in Latin America, posing radical challenges to the extant model of the nation-state and notions of democracy and development. Bringing together in-depth studies of the Indian Question in seven Latin American countries, this book reveals the diversity of contexts in which indigenous movements emerge and develop their strategies. Highlighting this diversity through up-to-date analyses, it provides a welcome and timely contribution to the study of indigenous struggles, citizenship, democracy and development." -- Willem Assies, Colegio de Michoacan, Mexico.